Key Medium specializes in quality business website design for small to medium-sized businesses and startup companies. When you partner with Key Medium for your online store, or ecommerce website design, you’re investing in a world-class online experience that generates revenue and growth. Find out what’s right for you. Schedule a free one-on-one consultation, or explore our showcase ecommerce website design work below. 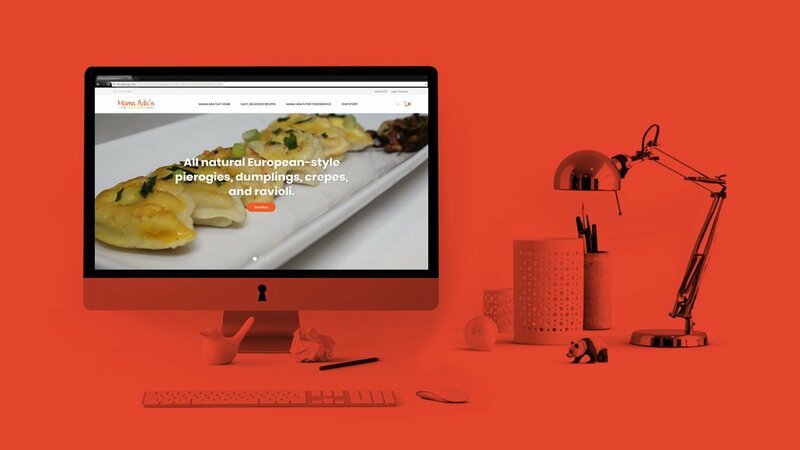 Key Medium delivered a fresh new ecommerce website for a pasta brand’s big debut in less than 30 days. Mama Ada’s is a European-style pasta brand from ALMI foods. The recipes are inspired by Ada, a beloved Israeli matriarch whose dishes have brought family together for over 30 years. Family-owned pasta manufacturer ALMI FOODS needed to launch its new pasta brand’s website and online store in a flash before a trade show. It is refreshing to work with a company that does exactly what they said they would do! Thank you Key Medium! They created a new website that has an online ordering system and they delivered our new, amazing website – a month before our trade show. Key Medium also taught us how to reach our audience, and got us on the first page of Google. Excellent team!